Our staff of professionals are focused on providing the highest quality care for your animals. Acupuncture & Chiropractic for Small Animals and Horses. Cynthia Olsen graduated from University of Illinois, College of Veterinary Medicine, with honors, in 2006. 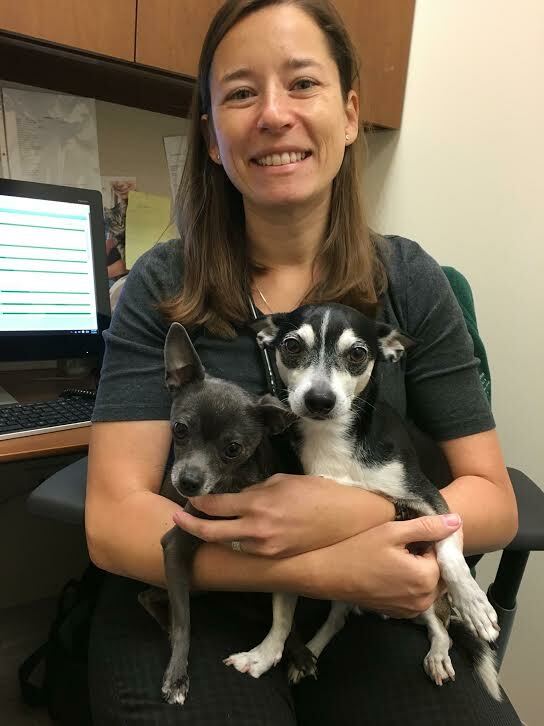 She has always been interested in alternative modalities, as she led holistic groups and conferences while in veterinary school. Dr. Olsen became certified in veterinary acupuncture through International Veterinary Acupuncture Society in 2013. 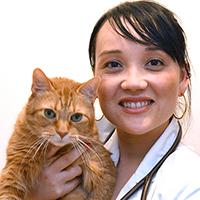 She achieved certification in animal chiropractic through International Veterinary Chiropractic Association in 2009. Dr. Olsen practices small animal medicine and surgery, and offers acupuncture and chiropractic for small animals and horses. Her professional interests include internal medicine, soft tissue surgery, dentistry, and complementary therapies. In addition to her passion for veterinary medicine, Cindy is an avid equestrian. She has competed with hunter jumpers, western pleasure horses, and Saddlebreds. She adores all animals, but her favorites include Shiba Inu dogs, Rex rabbits, orange tabby cats, and Palomino horses. Her other loves are playing music, the Cubs, and vegetarian food. Acupuncture & Chiropractic for Small Animals. Marisa Wlodek-Roesner graduated from University of Illinois, College of Veterinary Medicine, with honors, in 2006.